Cost of Our Gastric Bypass Packages for Guadalajara – $9,500. We suggest you to submit the quote form on the right for the latest price estimates and specials, if applicable. Gastric bypass in Mexico, and particularly in Guadalajara, could be of help to overweight people, who cannot bear the costs of bariatric procedures in their native countries. These people can get affordable gastric byass surgery in countries like Mexico, India, etc. The cost of gastric bypass surgery in Mexico could be just about 30-40 percent of that in the United States. More and more people are flying abroad for gastric sleeve, gastric banding, gastric bypass and other surgical weight loss procedures to avail quick and easy medical help for obesity, wihtout burning a hole in their pocket. Countries like India, Mexcio, Costa Rica allow them to avail quality treatments, at the hands of expert doctors, at highly reduced prices. Easy and affordable treatment, along with a chance to holiday in the serenity of Latin America, are the major reasons why bariatric surgery in Mexico is a hit among people looking for surgical weight loss. Gastric bypass procedure involves the surgical division of the stomach into two parts – a small upper portion and a much larger lower portion. The so-formed smaller stomach pouch, which is connected to the lower part of intestine, obviously has lesser capacity, so the person feels satiated with less food. In addition, most of the stomach, upper intestine is bypassed, which results in lesser absorption of calories in the body. Gastric bypass is a strict surgical procedure meant for those who are seriously troubled by excessive weight, and have failed to shed it with non-surgical weight loss methods. It should not be considered a luxury for the rich, wherein they can dodge the conventional weight-losing methods and get the desired lean body by spending a few thousand bucks. Alternativee names for the procedure are Roux-en-Y gastric bypass, RNY Surgery, Roux-en-Y gastric bypass procedure (RYGBP), Gastric bypass – Roux-en-Y and Bariatric gastric bypass. A large surgical cut (incision) is made to open up the upper part of your belly, and the surgeon directly handles the stomach and intestines to perform the bypass. 4-6 small incisions are made in your belly; through one of those a tiny camera (called laparoscope) is inserted. The other incisions are used to insert thin instruments. The camera is connected to a video monitor, so the surgeon can see your internal organs, and perform the operation. Less pain, quicker recovery, smaller scars are some of the advantages of laparoscopic surgeries. Opting for laparoscopic gastric bypass surgery here can let you have a little extra time to explore the place, as you quickly recover after the surgery. 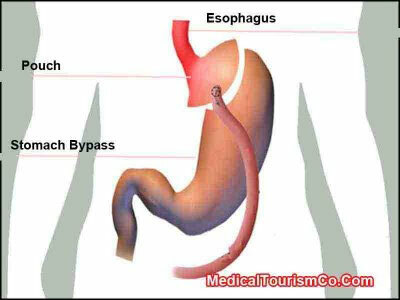 Are You a Candidate for Gastric Bypass Surgery? To qualify for gastric bypass with MTC you need to have a Body Mass Index (BMI) of 35 or more (with some exceptions for a lower BMI). Your medical questionnaire will have to be analyzed by the doctor to determine if you qualify for the surgery or not. The panel also suggested multidisciplinary care for any patient who has undergone bariatric surgery. Bariatric patients usually need physical, nutritional, behavioral, and psychological monitoring after the surgery, and experts believe that the surgery should serve as a tool, which helps them to make significant changes in their living and adopt healthy lifestyle habits. Permanent liberation from obesity can only be achieved if the patient is willing to take on healthy eating and exercise habits. According to the American Society of Bariatric and Metabolic Surgery, better weight loss can be achieved with gastric bypass surgery than with purely restrictive procedures. Vitamin B12 deficiency, Calcium deficiency, and anemia are reported in some cases. 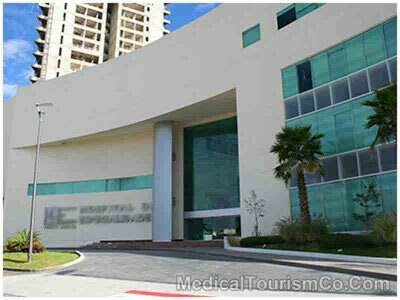 The hospital here we work with is a highly specialized medical center. The proudly Mexican organization offers treatments that are at par with the U.S. standards. The hospital works with a prestigious U.S. consulting firm to make sure that it meets the highest patient safety standards. Expert doctors and well-trained paramedical staff. US citizens must carry a passport and other valid travel documents while traveling by air, outside of United States. Visa or tourist card is not required for tourist stays of 72 hours or less within “the border zone,” which is the area of 20 to 30 kilometers from the U.S. border, depending on the location. Beyond the border zone, U.S. citizens must pay a fee to obtain a tourist card, also called an FM-T.
A tourist card is required as GDL is quite far from the U.S.-Mexico border; the card can easily be obtained on arrival at the airport. The city has plenty of entertainment options for its tourists. The historic city with a modern appeal can easily charm any traveler. You may use buses, taxis or subway to get around in GDL. For the ones keen to explore their culture, there is a plethora of festivals and revelry throughout the year. Visit the Cathedral, which is an eclectic mix of gothic, neoclassical and palladian architecture. With the Cathedral at the center, four plazas form a cross, where you can stroll around. The city’s intriguing past can be viewed in its museums like Museo Paleontologia de Guadalajara, Museo Regional de Guadalajara, Museo de la Ciudad. You may catch bullfights every Sunday at 4.30pm at Plaza de Toros(Bull ring). Get a taste of the real tequila. Drive, take a bus, or take the Tequila Express to the beautiful countryside and indulge in the fun atmosphere with tequila shots and casually wandering mariachis. The city also serves as a getaway to other great destinations, like Puerto Vallarta and Ajijic, a popular retirement place for American & Canadians. Ajijic is next to Lake Chapala, Mexico’s largest fresh water lake. Though it is a safe place, tourists must exercise caution against petty crimes like purse snatching. Busy places like outdoor restaurants are the common targets of criminals, so be extra careful when in such places. Mexican police strictly deals with people carrying illegal substances; be careful not do anything against the law. Food vendors have a tendency to rip off foreign tourists. To avoid an unreasonably inflated bill, make sure you ask for the cost before buying anything from street food vendors. Why Guadalajara for Your Gastric Bypass? Gastric bypass prices in Guadalajara are significantly lower than that in the United States, Canada, and many other countries. Close proximity to the U.S. is an added advantage for American citizens. The city has its own international airport (IATA: GDL). The cultures of Guadalajara and the United States are quite akin to each other. Fill out the free estimate request form for more information on gastric bypass surgery in Guadalajara.